If you’ve been wanting to go above and beyond this Mother’s Day for the mama who never blinks twice about giving it her all, you’re going to want to know about these 11 gift ideas. Arguably the most versatile piece in anyone’s wardrobe, Levi’s Trucker Denim Jacket just got even cooler. 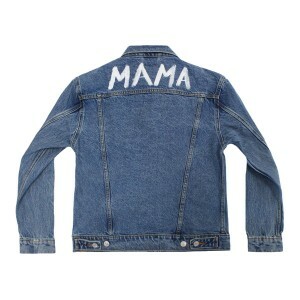 With the ability to have your name or ‘mama’ hand painted on the back, this jacket can go from park play date to dinner date like that. Made of buttery soft cashmere, this Baby&Taylor sweater is an absolute wardrobe staple. Want to make it extra special? 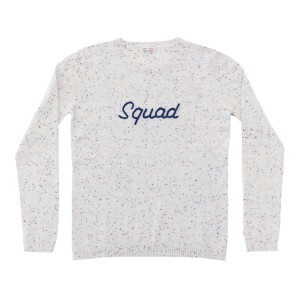 Your mama’s favorite name, phrase or initials can be hand embroidered on the front. 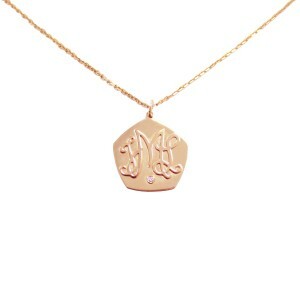 Exclusively available at The Tot, the Sue Gragg Diamond Initial Pendant Necklace is a sentimental piece that can be passed down from mother to daughter for generations to come. Whether you’re looking for a push present or Mother’s Day gift, the Sue Gragg Mama Ring will make any mother feel all the feels. Whether you just want one initial or a stack of rings to spell your little one’s name, the Sue Gragg Personalized Diamond Initial Ring is a powerful, timeless and beautiful reminder of what it means to be a mother, wife, friend and woman. 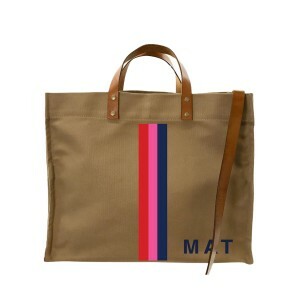 For the woman who loves to tote her favorite beach reads around on vacation or likes mixing up what she treks her laptop to work in, Parker Thatch’s Khaki Bag can be personalized by adding her name or initials. Sentimental, sweet and something that works in any home, gifting an ArtAccent Custom Watercolor Portrait lets families capture a precious time in their lives in a unique and long lasting way. An accessory that doubles as a memento? Yes, please. 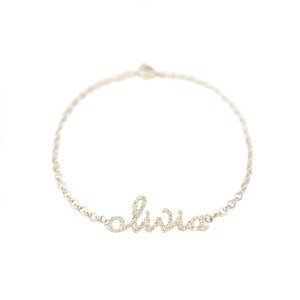 Made with stunning diamonds, the Sue Gragg Personalized Diamond Bracelet is the finishing touch to any look. Keeping reading glasses or sunglasses safe just got even easier (and more stylish) thanks to Parker Thatch and their customizable canvas case. 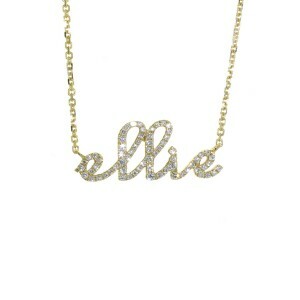 You simply cannot go wrong with a name necklace, especially if it’s made with diamonds by Sue Gragg. Like all her pieces, it’s exclusively available at The Tot and truly an heirloom piece. 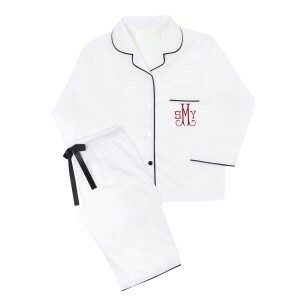 There’s nothing more luxurious than a pair of personalized PJs. Made from cozy and soft natural bamboo to create the ultimate comfort, this top and bottom set by PIU are perfectly tailored and so comfortable you’ll want to wear them out! 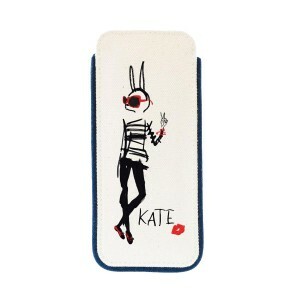 They also come in blue stripes with navy piping.